Software-as-a-Service (SaaS) is becoming mainstream, it is driven by the companies looking to maximize productivity while reducing cost by cutting down on hardware purchase and maintenance. Technical Support overhead is also removed, in favor of the technical support provided by the Saas vendor. Software as a Service category is also expanding, it started with the email systems when offices started to use hosted MS Exchange server from a SaaS vendor or a Gmail service versus maintaining an actual mail server in the office. Office applications are being migrated to the cloud as well, office apps are installed in Windows, but they are really under subscription-basis, a gateway to the online web processor, spreadsheet, presentation slides and simple databases. The maintenance-free aspect and the hassle-free upgrade cycle are the prime motivations of why companies are starting to consider hosted anti spam hardware instead of an on-site version for themselves. The current mainstream model of installing an anti spam hardware of software within the office premises increase infrastructure cost. Bandwidth and storage cost though is both decreasing due economies of scale, the cost adds up when company employees receive more spam, especially if they are targeted by spear-phishing attacks. Firms of any size need to assess in migrating to a hosted cybersecurity solution, especially in preventing their users from encountering spam and dangerous spear phishing emails. 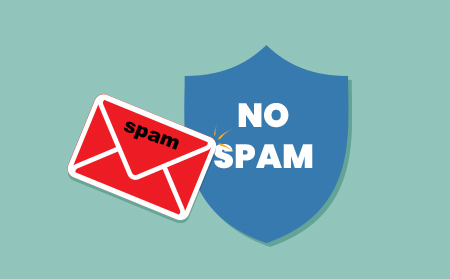 Not all spam can be regularly deleted, even on a manual basis this is because corporations are constrained by the business policy of retaining old emails for archiving purposes. As no mailbox is actually immune from junk mails, many of the spam emails become part of the email archive. The storage space cost includes the disk space occupied not just by legitimate emails but also spam emails. Spam if not filtered eventually arrives in the user's mailbox, which occupies precious disk space of desktops, laptops, and smartphones. This bloat may not harm the device or the user at first glance, but it will cost the company's productivity to suffer in the long run. This is further complicated as employees have already started the BYOD (Bring your own device) revolution, where personal Internet-enabled gadgets are used in the enterprise environment to augment the employer-provided hardware. Hardware lifecycle, especially in connection with bandwidth and storage is slower than the growing volume of spam emails received by the enterprise. It is not surprising for a single employee to receive hundreds, if not thousands of emails every day, a majority of which have nothing to do with their jobs. Being lenient, but may subject the email users to a dangerous level of possible phishing email penetrating the filter. Just one successful phishing attempt is enough for a company to lose its business, in the event a data breach happens in the wake of the phishing episode. Hosted anti spam hardware installation is no longer done by the company's system administrator, but by the automated script at the remote server's end. This lessens the need for compatibility check for the local network, and only the email-related settings like MX Records will need to be configured by the local system administrator. The features that an anti spam hardware provides is comparable to the features of any traditional onsite-based solution. With a hosted anti spam hardware, filtering happens even before the emails arrive in the local email server, filtering happens using the SaaS server. Under the hosted anti spam hardware, rules can still be defined by the system administrator or just accept the defaults chosen by the SaaS vendor. The anti spam hardware is robust and extensible in checking for malicious code from attachments and any attempts to display infected website links. Helps minimize the chance of encountering a DDOS (Distributed Denial of Service) attack. As the SaaS anti spam hardware solution has a wider pipe and bandwidth, possible DDOS attacks via email are minimized. When you're considering a SaaS anti spam hardware solution, consider Comodo Dome Anti Spam. It's a remote anti spam hardware, basically, an appliance that runs stealthily in the background and filters spam transparently for the users. It runs alongside the company's mail server, saving the limited system resources of the latter. Comodo Dome Anti Spam hardware uses heuristics scanning of emails, it installs a special filter for those still suspiciously behaving file attachments. Through its simplicity, while being flexible, the Comodo Dome Anti Spam hardware solution scales well with regardless of the network size. A hosted anti spam hardware solution does not slow it down compared to a software anti spam installed onsite. A free trial is available for evaluation, which can demonstrate the strength of detection.